But I think you might be surprised to find that self doubt is commonplace amongst designers. There are several reasons for this. First, our culture frowns upon creativity. How many times have you heard rude comments about “creative types”? We’re widely regarded as unreliable, sensitive, and difficult. Which obviously isn’t true. But this goes deeper than the stereotype—psychologists believe that even as young children we are taught not to be creative. A researcher named George Land conducted a study for NASA that found children grow less creative and are actually taught non-creative behavior. At ages 4-5, 98% of children scored as creative, but only 10% by age 10, and later only 2% of adults scored as creative. We are trained to discourage creative behavior. For example, I almost scolded my 2-year-old son the other day for using a toy “the wrong way”. But when I stopped to consider the situation, he was only playing in an unexpected way—I was surprised at what he was doing and I reacted negatively. Even though he was doing nothing wrong at all, I almost discouraged his creativity because that’s what I’ve been taught to do. We are taught to stifle creativity. And as we explore creative pursuits, these negative perceptions can drag us down. However, paradoxically, our culture also romanticizes creativity. No one will ever be so brilliant a visionary as Steve Jobs—his reputation is practically godlike. And this happens in especially in the design profession; look at the reputations of Paula Scher or Massimo Vignelli. Each are idols in their own right. Our belief in the idea of the creative genius leads us to doubt ourselves because we hold ourselves up against an impossible standard. None of our idols were nearly so great as we make them out to be—each was a human with flaws and struggles just like us (and it’s possible they were only successful because of luck). 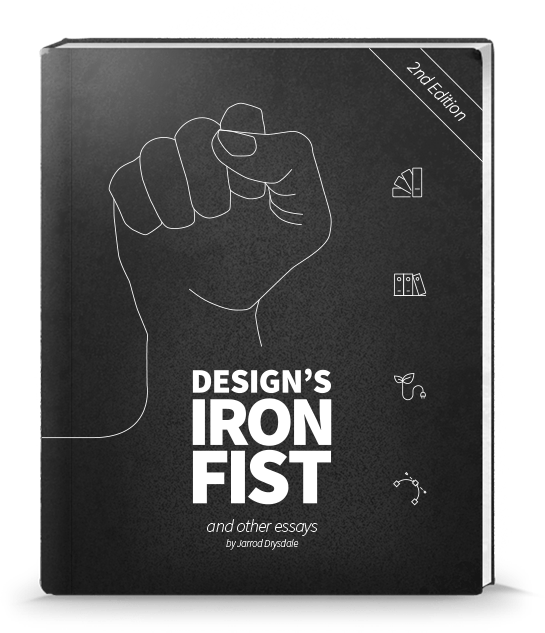 Further, the design profession is increasingly idealizing the uncreative aspects of our work. Research has become a priority for many designers, and this represents a shift in thinking that logical, structured approaches are more valuable than creative ones. Empathy is the latest clarion call—but it represents sacrificing our artistic vision in favor of other people when so much art does exactly the opposite. Last, usability while noble runs the risk of draining the playfulness and experimentation from our work—reducing creative aspects in favor of sameness and utilitarianism. It can feel like the more creative you try to be, the more you get punished for it—even within our own industry. No one belongs as a creative professional, according to all these voices—the experts in our industry, the lessons we heard as kids that discouraged our creativity and told us to “be practical”, the snickering behind our backs about “creative types”, the voices that enshrine famous creatives, and others. None of us are doing what culture says we are supposed to be. According to them, every designer is an imposter. We all feel like imposters because we’ve been taught to feel that way. And this means that every designer is just like you. We’re all fighting for respect. We all face self doubts. We all struggle sometimes to do work we are proud of. I know this article leans a bit self-help-ish, but hey, is that such a bad thing? Many of your struggles and roadblocks as a designer will be emotional. We all need healthy ways of dealing with these pressures. Being a designer carries some unique challenges. This isn’t always the easiest kind of work to do.